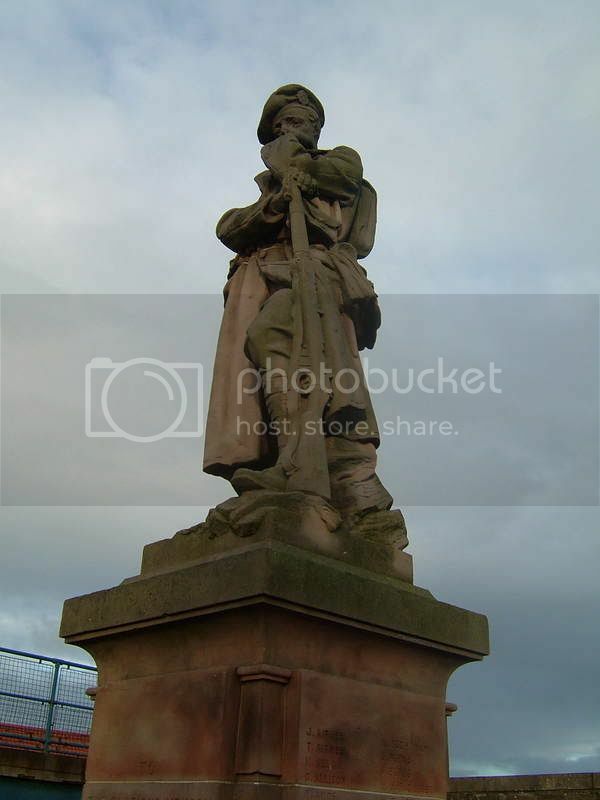 William Birnie Rhind is also said to be responsible for the Hawick Boer War Memorial. "Strang gives W Birnie Rhind as the sculptor, whilst Cruft et al give his brother Thomas Duncan Rhind." If you have a look at the spreadsheet I distributed recently, and do a search of the Designer/Sculptor column, quite a few 'Rhind' memorials are there - and not only Civic ones. 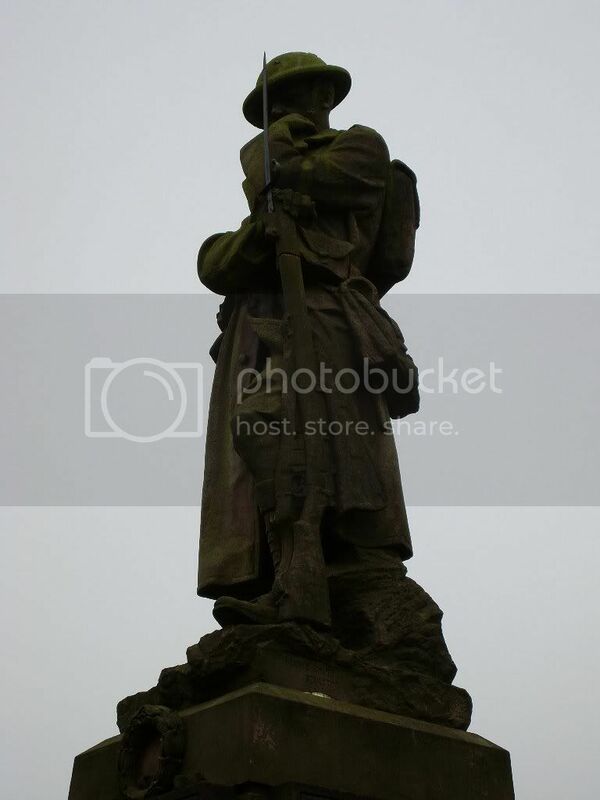 Derek P's recent posting of his Kelty photograph shows that memorial at a similar angle to my photgraph of Prestonpans. I have put them both together in one post.